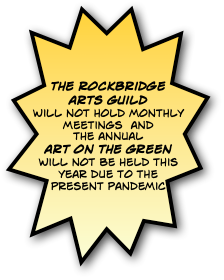 We are pleased to announce that applications for the 2019 Art on the Green—sponsored by the Rockbridge Arts Guild in collaboration with the Buena Vista Arts Council—are now being accepted. 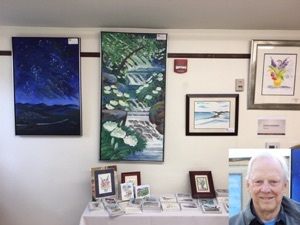 This year’s cooperative effort is designed to attract a wider range of regional artists and to provide a comfortable outdoor venue for established artists as well as young, up-and-coming artists to display (and perhaps sell) their art. Not to mention that we just love promoting beautiful Hopkins Green in Lexington in any way we can! April 27th or if you have any questions. And please note: when you register you can also order a delicious and very reasonably priced BOX LUNCH lovingly prepared at Sweet Treats Bakery! Lunch will be delivered fresh to the Green at about 11:30am the day of the exhibition. 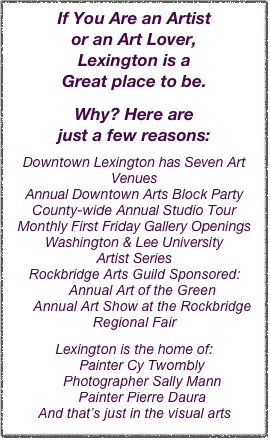 Thanks again for considering exhibiting your art at one of Lexington’s premier art events on Hopkins Green on May 4, 2019. We look forward to seeing your art in this year’s edition of Art on the Green! Cy Twombly is an internationally famous artist from Lexington, VA. He died in 2011, but his works continue to fetch incredible prices. In 2015 one painting sold for $70 million dollars. Many US museums, e.g., The Menil in Houston, the Philadelphia Museum of Art, and the Chicago Institute of Art, showcase his work. To this date Lexington has no permanent recognition of Twombly though W&L once had a swimming pool named for his father. It was demolished in 2017 and replaced by an athletic building called the Natatorium. Twombly is a giant in the art world but not often understood outside that venue. Given his fame, his unique approach to art, and his lack of recognition in his own hometown I have selected this biographical work to help us artists living in his hometown understand the artist and his work. The book can be purchased at Books & Co. It is $32, but RAG members get a 10% discount. The library will have a copy next week. If you check it out please try to return quickly as possible. If you wish you can order through Barnes & Noble, Amazon, Albris or Better World Books. If you have questions, call John Anfin at 540-261-7557.